The standard used in cockpits worldwide! Protect your checks! Our best seller! 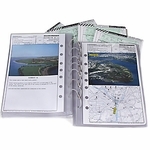 Heavy duty plastic checklist pages, inner dimensions 8.0"x5.0" (203.2mm x 127mm). Sturdy construction equals long life. 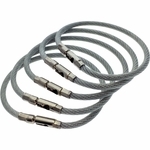 Easy to use, with thickness that resists getting brittle or tearing in cold environments. 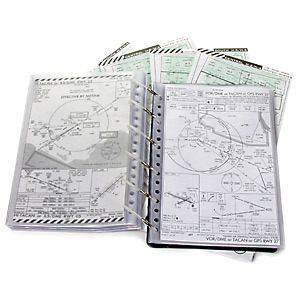 Excellent for protecting your local approaches or condensed aircraft checklist. 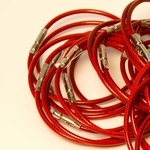 Buy only as many as you need, but know that once you start using these, you'll find more and more jobs for them! *If you're tired of going to the copier to shrink your approaches to fit this page, Take a look at our FB2201 oversized (8.5"x5.5") pages. They fit original sized approaches or a standard 8.5" x 11" sheet of paper folded in half, with no copying or trimming. **This is a GSA item! Tell YOUR Life Support and/or Resource Advisor today! 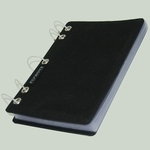 See our GSA Page for a complete listing of our products on GSA Schedule!